Partner Energy Blog – Maximizing building efficiency & profitability for clients nationwide. Maximizing building efficiency & profitability for clients nationwide. California’s building efficiency standards have been updated, with changes that will become mandatory in January 2017. Scott Blunk, Director at Partner Energy, will be hosting the 2016 Building Efficiency Standards: Changes and Challenges seminars on behalf of Green Technology. These seminars will cover what’s new in the Energy Code for both residential and non-residential buildings, from high performance walls and attics to lighting and lighting controls. The sessions will also review challenges that have been created in implementing the 2103 standards, as well as strategies for addressing them. Each seminar will run from 10am – 4pm, with an hour break for lunch (which will be provided). Cost of attendance is $265.00. February 26, 2016 – Altadena, CA Register here. March 3, 2016 – San Jose, CA Register here. March 11, 2016 – San Diego, CA Register here. March 17, 2016 – South San Francisco, CA Register here. Scott Blunk is a director at Partner Energy where he leads a team of energy efficiency engineers. He is also a licensed General Contractor and Real Estate Broker as well as a HERS Rater, GreenPoint Rater and LEED AP. He has extensive experience conducting energy audits for a variety of energy efficiency programs throughout the country. He has performed energy assessments and energy upgrades on hundreds of buildings including commercial, multifamily, and single family residences. He consults on energy efficiency related issues for contractors, developers, architects and municipalities. 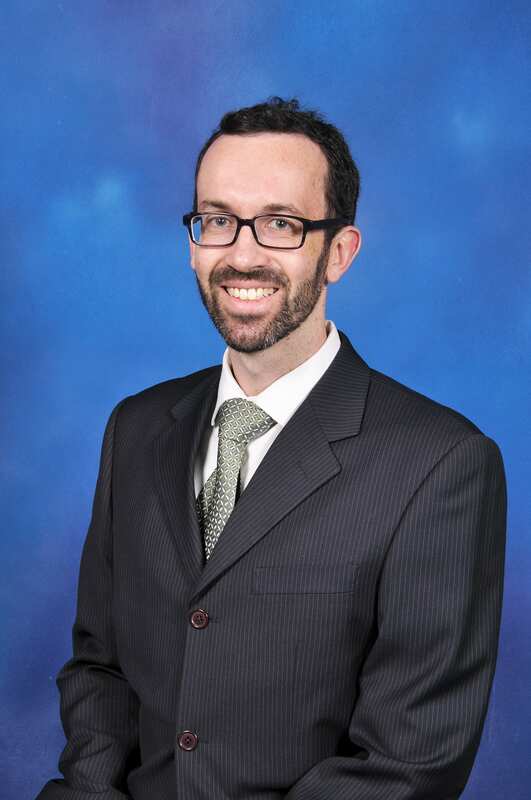 He teaches Building Science at Los Rios Community College and has recently served as a Commissioner on West Sacramento’s Housing Advisory Commission and Sacramento’s Historic Preservation Commission. 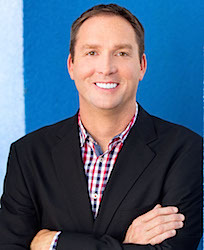 Scott received his Bachelor of Science in Mechanical Engineering from Purdue University and his Master of Business Administration from Marquette University. Partner Energy’s Tony Liou and Partner Engineering and Science’s Clare Broderick, LEED AP, P.E.were recently quoted in “Sustainability Shifts From Nice-to-Have to Must-Have” in the latest edition of Real Estate Finance & Investment. The article by Elizabeth Blosfield addresses energy sustainability as a necessity in a real estate portfolio. The real estate market has become increasingly eager to engage and improve sustainability practices. Kim Hosken, Director at Partner Energy discusses how GRESB provides a path for real estate portfolio owners to benchmark and measure their success in a broad range of sustainability. Changes are coming for CA’s Energy Disclosure Law (AB1103)! The compliance document will be the ENERGY STAR Statement of Energy Performance instead of the overly complex, often misinterpreted (for compliance purposes) Data Validation Checklist. Building owners less than 10,000 SF will not have to worry about compliance, they are exempt. Disclosure reports will be valid and re-issuable for up to 12 months. The State is notified of compliance via a reporting link on the ENERGY STAR website, no separate email is required. Deadlines: disclosure report is now due within 3 days after execution of the Purchase and Sale Agreement. Effectively making disclosure a Due Diligence item similar to a PCA, Phase I, or Appraisal. A big milestone! For further information on the upcoming changes, please see “Proposed Changes to Regulatory Language” at the link below or contact Partner Energy at 888-826-1216. Great video about the Municipal Green Building Conference and Expo 2015! Green rehabs, otherwise known as building upgrades focused on improving energy efficiencies, offer many benefits. Lower operating costs and tenant bills, improved reputation, better air quality, and increased comfort are just some of the advantages. On Tuesday, April 28th, 2015 alongside LINC Housing/SEED Partners, Primus Building Solutions, and EAH Housing, Partner Energy presented the “Green Rehabs: How to Get What You Pay For” workshop at the 36th Annual Housing California Conference. The panel consisted of Samara Larson, Director of Sustainability at LINC Housing/SEED Partners; Tania Boysen, Director of Construction Management Services at Primus Building Solutions; Lisa Goddard, Sustainability Program Manager at EAH Housing; Tony Liou, President of Partner Energy and Kelsey Shaw, Sustainability Consultant at Partner Energy. 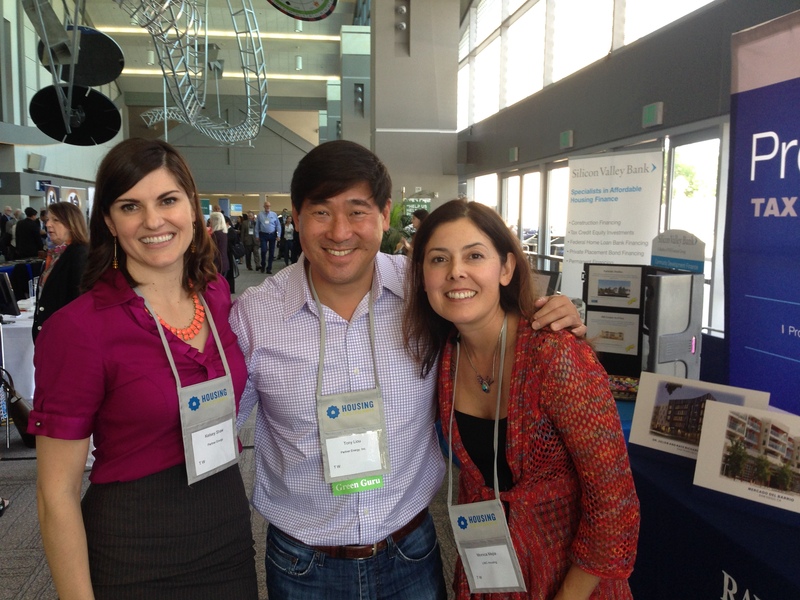 Kelsey Shaw, Tony Liou, and a client of Partner Energy, posing for a picture in between workshop sessions. Housing California is one of the premiere events in the state for affordable housing developers, with over 1,100 participants including developers, lenders, architects, contractors, consultants and other vendors. With more than 75 workshops and pre-conference institutes, topics of discussion covered affordable housing financing, resident services, design and construction, developments in state and local regulations, and of course, energy efficiency and sustainability in the affordable housing industry. Energy efficiency requirements are relatively new for many developers. Partner Energy plays an important role in educating and offering project support through the process. There are an increasing number of energy disclosure and efficiency regulations, which means that property owners will likely have to perform energy audits or implement energy upgrades or retrofits in order to comply. Energy efficiency requirements are relatively new for many developers. Staying informed about the latest regulations, technologies and processes is critical to ensure compliance. Although regulations create the initial push for property owners to comply, challenges do arise when it comes to maintaining momentum and executing a green rehab successfully. Lack of funding, minimal in-house expertise, and lack of manpower, are just some of the reasons that maintenance can be deferred in a multifamily property. While some degree of deferred maintenance is almost inevitable with rehabs, there are best practices for coping with this common issue. First, it’s important to recognize and understand the scale of the problem. Performing a facility assessment, interviewing property management and contractors, reviewing maintenance records and conducting destructive testing are ways to access the scale and severity of the issue at hand. Once the scope of the problem is understood, it is then easier to quantify and communicate the impact the deferred maintenance has caused; in terms of budget, but also in terms of potential liability and safety risks. The next phase of coping is to prioritize projects and develop a strategy to secure adequate funding for the most critical issues. The highest priorities are usually liability, health and safety and protecting the building envelope and structural stability, once these items are addressed, it allows the team to focus on the less critical and yet important components of the rehab, including energy efficiency and sustainability, optimizing the post-rehab building operations and resident comfort and achieving the desired aesthetic improvements that serve as the visual indicator of a successful rehab project. As presented in the skit, being compliant was the main goal for the rehab, but obtaining a rebate was something that was neglected. The bonus of getting a $100,000 rebate was overlooked due to time constraints and unpreparedness. Although rebates are not available in every area where a rehab takes place, there are usually some great opportunities available. There are many programs and initiatives designed for property owners to help offset the cost of implementing green rehabs. For example, in California, one well known program is Energy Upgrade California’s Multifamily Program, which not only provides technical assistance to property owners looking who are looking to make improvements to their properties, but also offers cash back incentives as rewards for properties that successfully reduce their energy consumption. These rebates can be small off-sets or significant budget line items, but quire often these rebates can cover the entire cost of energy consultant’s work. It’s important to coordinate with an energy consultant or general contractor when opting to utilize rebates or incentives so that eligibility and deadlines are met successfully. Engagement is imperative in the rehab process. Training and education on manuals and new systems of operation is a crucial step in making sustainability pay off. The importance of communicating early and often with both residents and building operators cannot be over-emphasized. Being receptive to feedback is also important in the listening aspect of communication. Educating tenants on how to maintain their unit – e.g. something as basic as teaching them how to operate a new thermostat – is actually a fundamental key to ensuring that the energy saving measures that were added to the property are actually maintained in a comprehensive manner. Just as communication is key among the construction team from the beginning of the project, communication with residents and building operators upon project completion is key to ensure that the green and sustainable project features are understood by all the significant stakeholders at the property. Although rehabs come with challenges, the benefits far outweigh any issues that may appear while the project is under construction. Hurdles can be overcome if an integrated and coordinated team works collectively to understand all the elements involved in a green rehab. In the end, the satisfaction of getting what you pay for is every party’s ultimate goal. How Can I Be GRESB Ready? With the launch of the 2015 GRESB Survey, many portfolio owners are looking for ways to improve the energy and sustainability performance of their buildings. In this GlobeSt.com Blog, Partner Energy’s John Rockwell summarizes what you can do to achieve a more favorable GRESB rating as well as ways boost your existing GRESB score. Follow Partner Energy on social media!